You could say every piece of Australian opal inlay jewelry is a one of a kind work of art because it is almost impossible to find two pieces of opal with exactly the same color and indentical pattern. Top grade Australian opal is becoming more and more difficult to obtain due to some of the established opal mining areas being nearly mined out. With a limited opal supply and increased mining costs, the price of good Australian opal has experienced a steady rise in price. Many consumers are not aware of the increasing scarcity of Australian opal or the rise in collector value of high quality Australian opal jewelry. 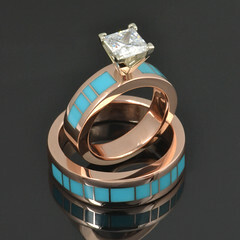 Collectors have been adding Australian opal jewelry by The Hileman Collection to their jewelry collections for years. Since 1974, The Hileman Collection by Mark Hileman has been known for using only the finest inlay materials and superior craftsmanship. 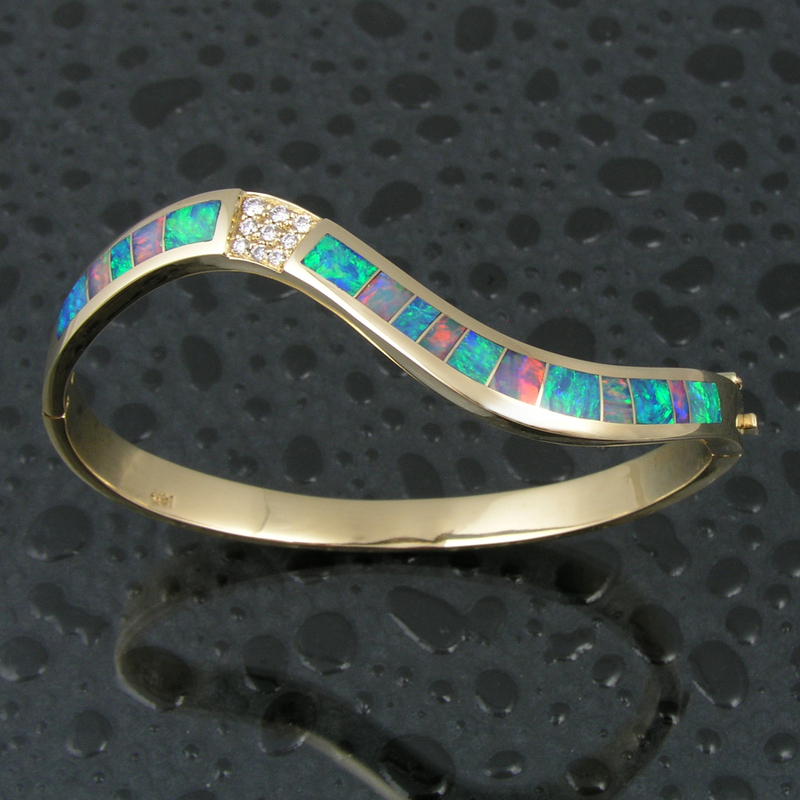 In the early 1980’s Mark began using Australian opal and soon became world renown for creating inlaid Australian opal jewelry of the highest quality. First class customer service, superior craftsmanship and top notch Australian opal make The Hileman Collection the place to go to start your opal jewelry collection. 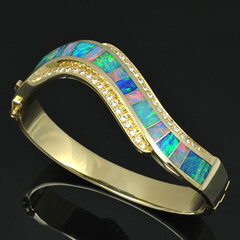 Mark Hileman has a wide selection of 14k gold Australian opal jewelry including opal and diamond inlay rings, opal inlay earrings, opal pendants, opal necklaces and hinged opal bracelets in a price range for everyone. If gold and opal inlay jewelry is not for you or simply not in your budget, many of the same designs from The Hileman Collection are available in sterling silver at HilemanSilverJewelry.com. If you don’t see exactly the design you are looking for, please inquire about having us create a custom piece of jewelry just for you. Follow us on Facebook and Twitter for new design and sale updates! how do I get a inlaid opal ring to you for repair? Where are you located? You can visit our repair site and follow the shipping instructions. 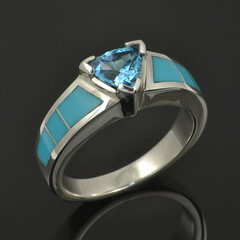 It might be best for you to email us a photo of the ring just to make sure it’s something we can fix.